Who is the "Military Order of The Purple Heart"? What are some of the services provided to Veterans? Who is the "Military Order of the Purple Heart Service Foundation"? Do workers get paid or are they volunteers? Will I get a receipt and how does it work for tax Purposes? Does the Purple Heart have a tax ID number? Why doesn´t the driver write an amount on the receipt? Is a receipt given automatically or do I have to request one? Why don´t you take baby items such as car seats, high chairs, cribs, playpens, etc? Why can´t the driver come at a specific time? Why do I have to mark my donation? Why can´t I tell Purple Heart what day I want them to come? Why don´t you come into my area? Do you have drop off boxes? Why is a minimum amount required for a pickup at my home? I only have two (2) bags. Why can´t you just add me on for this months´ pick-up? Why won´t the driver pull into my driveway or come into my home? What is the phone number for the "Car Donation Department"? What if I have a problem with the donation of my car? Who do I contact? 1. Q. Who is the "Military Order of The Purple Heart"? Chartered by Congress, the Military Order of the Purple Heart, U.S.A. is a national organization composed entirely of combat wounded Veterans who have been awarded the Purple Heart Medal. The Order is founded on the decoration originally established by General George Washington in 1782 for gallantry, fidelity, and service. Whenever and Wherever there is a need, the Military Order of the Purple Heart will be there..because you cared. 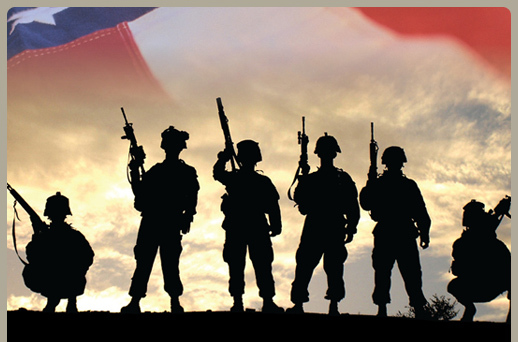 For more information, please refer to our "ABOUT US" and "VETERAN'S INFORMATION" pages. 2. Q. What are some of the services provided to Veterans? 3. Q. Who is the "Military Order of the Purple Heart Service Foundation"? The principal purpose of the Foundation, a non-profit organization, is to support the many programs of the Military Order of the Purple Heart, U.S.A through tax-deductible contributions. With the events of the past several years, the need for theses programs to help support our Veterans is growing. We do not ask for your time or your money. Funds for these programs are raised by the sale of useable clothing and household goods contributed by people just like you. If you would like to make a donation to help support the many programs sponsored by the MOPH, please visit our "REQUEST A PICKUP" page. 4. Q. Do workers get paid or are they volunteers? A. Along with individuals who have volunteered their time, the Military Order of the Purple Heart Service Foundation offers a unique opportunity to earn extra money and support a worthwhile cause at the same time. From the convenience of your own home or within a comfortable office environment, pleasant and dedicated persons are needed. For information on positions currently available, please visit our "EMPLOYMENT" page. 5. Q. Will I get a receipt and how does it work for tax Purposes? A. All items donated to the Purple Heart, are deductible for income tax purposes at their present Fair Market Value. Internal Revenue code places the responsibility for the "Fair Market Value" upon the donor rather than the agency receiving the gift. The Internal Revenue advises that "Fair Market Value" is interpreted as that price which a buyer is willing to pay and a seller is willing to accept. 6. Q. Does the Purple Heart have a tax ID number? 7. Q. Why doesn´t the driver write an amount on the receipt? A. As stated above, the Internal Revenue places the responsibility for the "Fair Market Value" upon the donor. The driver is not qualified to make that determination and in most cases never even sees the items donated since they are in bags and boxes. 8. Q. Is a receipt given automatically or do I have to request one? A. The driver will leave a receipt at your front door upon receiving a donation at your residence. Postal regulations do not allow him to place the receipt inside your mailbox. 9. Q. Why don´t you take baby items such as car seats, high chairs, cribs, playpens, etc? A. Government recalls and improper consumer use. The list of items that the federal government has determined to be unsafe, continually grows. Baby items are among the items most frequently added to this list, and so it would be impossible to continually monitor what a driver should and should not pickup. We also, cannot monitor how the consumer would use the item, as recycled items generally do not have the important "safety instructions" that were packaged when the item was purchased new. For the safety of children, these items are not accepted nor are they solicited. For more information on these and other recalled products call 1-800-638-2772 or visit (www.cpsc.gov) on the web. 10. Q. What happens to my donation? A. The donations of clothing and household items that are collected are not given to veterans themselves. Instead, they are sold to various thrift stores. The proceeds from these sales help support the programs sponsored by the Military Order of the Purple Heart Service Foundation, Inc.
11. Q. Do I have to be home for the pick-up? A. No. Just leave your donation out at your curb by 7 am, marked for the Purple Heart. The driver may not be there exactly at that time, but can come anytime after 7am. 12. Q. Why can´t the driver come at a specific time? A. It would be impossible to give even an approximate time for the driver to come, since we do not know where they will begin their run for the day. Weather, as well as traffic conditions, dictate how quickly and safely a driver can complete his scheduled stops for the day. 13. Q. Why do I have to mark my donation? A. We ask you to mark your donation for the Purple Heart, so that the driver will be sure that the items sitting outside are meant for him to take and not a delivery of some kind or items that another family member has placed outside by mistake. 14. Q. Why can´t I tell Purple Heart what day I want them to come? A. Just like a bus route, the Purple Heart must have some type of organization when scheduling it´s pick-up service. The cost of gasoline, insurance, driver salaries and truck maintenance are taken into consideration when making up the pick-up lists. Keeping in planned areas, assures us that we will reach all potential donors and receive the maximum benefit from each donation picked up. 15. Q. Why don´t you come into my area? A. At this time, we only have so many trucks available for the pick-up service. Since we are continually changing and updating the areas that we pick-up in, it is possible that at some point in the future we will be able to offer our convenient pick-up service to you. Until that time, we welcome your much needed donation at one of our drop off locations. 16. Q. Do you have drop off boxes? 17. Q. Why is a minimum amount required for a pickup at my home? A. Paying a driver, insurance premiums and today´s high cost of gasoline, plus truck maintenance require that a certain amount of donations be picked up from each truck. We ask for several bags or boxes at each stop, to guarantee that enough funds are generated to cover the cost of running the truck, and also meet the needs of the Purple Heart. 18. Q. I only have two (2) bags. Why can´t you just add me on for this months´ pick-up? A. The amount of stops scheduled for each truck is designed to fill the truck without over- burdening the driver, thus better servicing both the donor and the Purple Heart. 19. Q. Why won´t the driver pull into my driveway or come into my home? A. Purple Heart drivers are instructed not to pull into driveways or enter a donors home for insurance reasons. 20. Q. What is the phone number for the "Car Donation Department"? 21. Q. What if I have a problem with the donation of my car? Who do I contact?